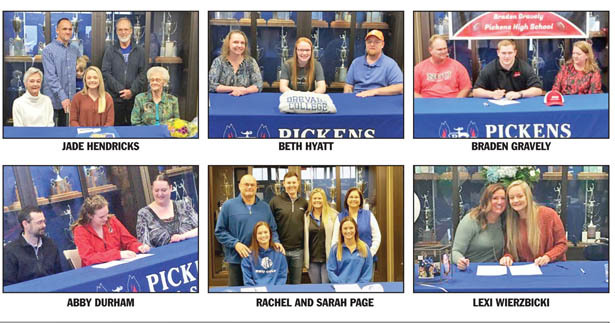 COUNTY — National Signing Day was held on Wednesday, Feb. 6, and the day saw some of Pickens County’s top student-athletes sign to continue their playing careers at the next level. 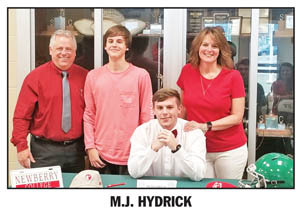 Pickens High School North-South all-star Braden Gravely signed with North Greenville University to continue his playing career on the gridiron. The Blue Flame sent two softball standouts to the next level as well, as Jade Hendricks and Beth Hyatt signed with Allen University and Brevard College, respectively.